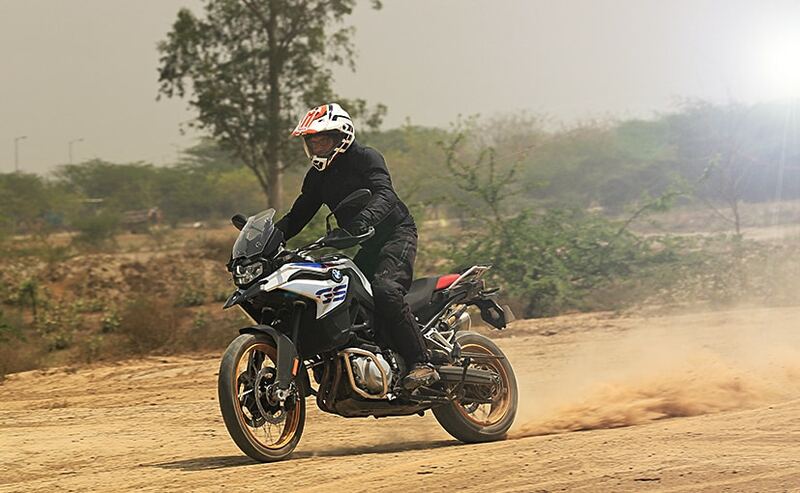 The BMW F 850 GS is the newest middleweight adventure motorcycle in India and we finally had the opportunity to ride and see where it fits in the food chain, where the Triumph Tiger 800 is the proverbial king of the jungle in the middleweight adventure segment! The Triumph Tiger 800 has been the benchmark for middleweight adventure motorcycles ever since it was launched in India and with the segment burgeoning, there is this new kid on the block! Well, not so new but fairly so! Yes! It is the BMW F 850 GS, the company's new middleweight adventure motorcycle with an off-road bent of mind (the BMW F 750 GS is the road-going version) and we finally had the opportunity to ride the top-spec 'Pro' variant of the motorcycle in BMW's Rallye colours and the optional TFT screen and see whether it does justice to BMW Motorrad's blue-blooded lineage of off-road motorcycles, or not! Thumb the starter on the F 850 GS and it awakens with a lazy, burbling drawl. At the core is an 853 cc parallel-twin motor Yes! A parallel-twin engine which is built by a Chinese company called Longshing and not your typical, German boxer engine. The good news is that the quality is still top-notch. The engine is liquid-cooled and churns out about 89 bhp at 8,000 rpm and the peak torque output is rated at 86 Nm at 6,250 rpm, which is about 5 bhp and 6 Nm lesser than the European-spec model as the bike is built for regular unleaded petrol. We got on to the road, towards our favourite haunt for testing motorcycles which have a bit of off-road pedigree. Now, most ADVs will spend significant time on the blacktop and this is where a good ADV needs to have good manners too! So, what about the GS? Well, it is not exactly manner-less, but it isn't docile either! The good part about getting up at ungodly hours to ride a motorcycle is that the weather is crisp and the roads are empty! Obviously, we wanted to feel the wind on our faces and with the throttle twisted open; we were taken aback by the sheer ferocity of how the motorcycle accelerated. There are two parts to this! The good and the bad! I will tackle the bad part first. The acceleration was so brutal that I felt the wind way more than I had bargained for. Case in point being that the tiny flyscreen like windscreen might look good but doing triple digit speeds all day long will wear you out. The good part! The wave of torque in the first and second gears is mental! Second gear in and I was already touching triple digit speeds, with the rev counter flashing red! I would like to call myself a good boy, keeping away from all sorts of addiction, but this! This was pure ecstasy (I mean the feeling, not the drug). The 6-speed gearbox though wasn't the smoothest and past 7,500 rpm you feel a buzz on the palm grips and the footpegs. Although, it is far from being a deal-breaker! But soon, rehab came in the form of traffic where we had to crawl through morning traffic snarls and therein lay a couple more surprises! 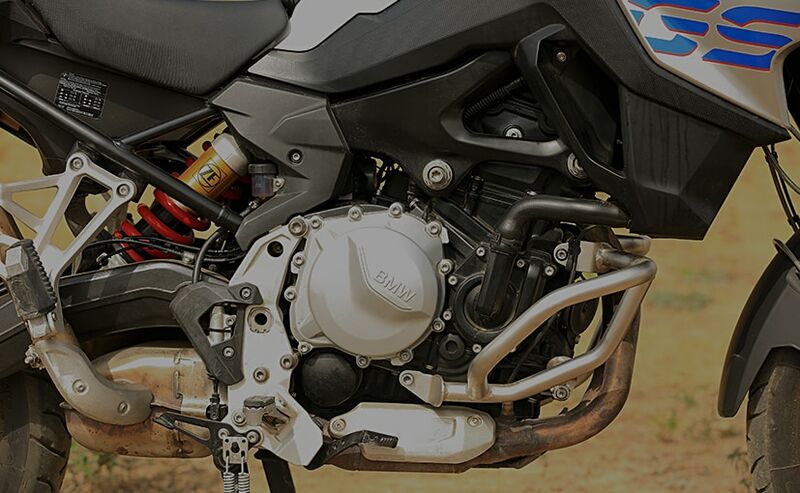 First, the engine stays cool and doesn't emit thigh-roasting heat which is a common phenomenon on performance bikes and secondly, the balance on the F 850 GS is so good that you feel comfortable filtering through traffic at all kinds of speeds. The 229 kg kerb weight magically disappears on the move. The other banes of roads in India are speed breakers, bumps and potholes, which the motorcycle happily lapped up for breakfast, which means ride quality is supple. You also have the option to change the rear suspension setting on the go although the front USDs aren't adjustable). After what seemed like a short tarmac jaunt (it wasn't, we were just going fast) we finally reached our favourite off-road patch, somewhere in the back and beyond of vast confines of Greater Noida. With the mode now changed to Enduro Pro, which meant ABS and traction control were fully switched off, I was now ready to display my limited off-road ability and try and give some good shots for the camera! The first thing that you notice is that the wave of low-end torque helps you get out of sticky bits although if you overdo it, you will feel the rear tyre sliding in the opposite direction too soon and too often. 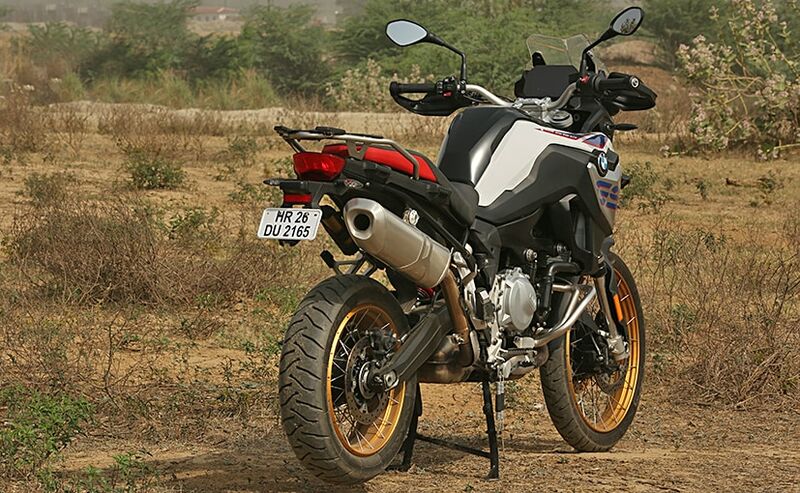 Subtlety is not a forte of the BMW F 850 GS and new riders might find this bike to be intimidating. 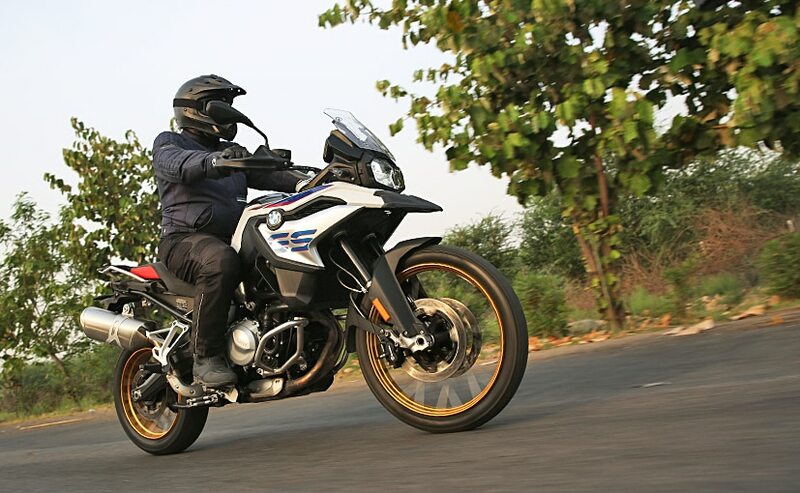 The motorcycle gets the typical 21-inch spoked rims up front and a 17-inch unit at the rear and tubeless tyres, which may seem like a normal feature but in fact are a god sent when riding in the back of beyond. Thanks to the softer suspension, we figured that the front end dives a tad much than we would have liked it to. It robs you of the front tyre feel, which when going off-road is very important. Ride the bike off-road with ABS and traction control on and you will figure that the electronics package is not exceedingly intrusive but manages to save your hide. With the suspension in the enduro mode, the motorcycle is game for jumps and bungled up landings too, should you feel the need to, erm, indulge in tomfoolery! 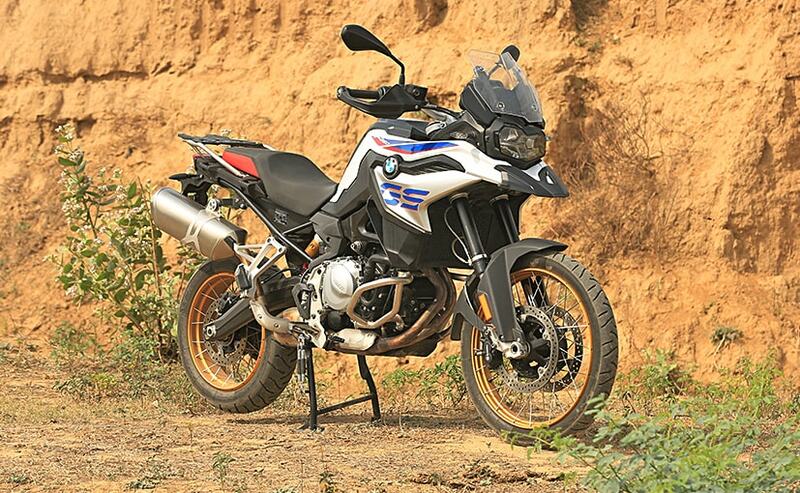 The BMW F 850 GS gets a decent features list! This includes tubeless tyres, LED daytime running lamps, LED headlamp and cruise control. What could have been better is a bigger windscreen and a sturdier bashplate, possibly a metal one instead of the plastic one that the bike gets now. There is an optional quick-shifter as well to help you shift through gears easily. But what is surprising is that the TFT instrument console on our test bike is not standard. It is in fact an optional fitment and it will set you back by ₹ 60,000. 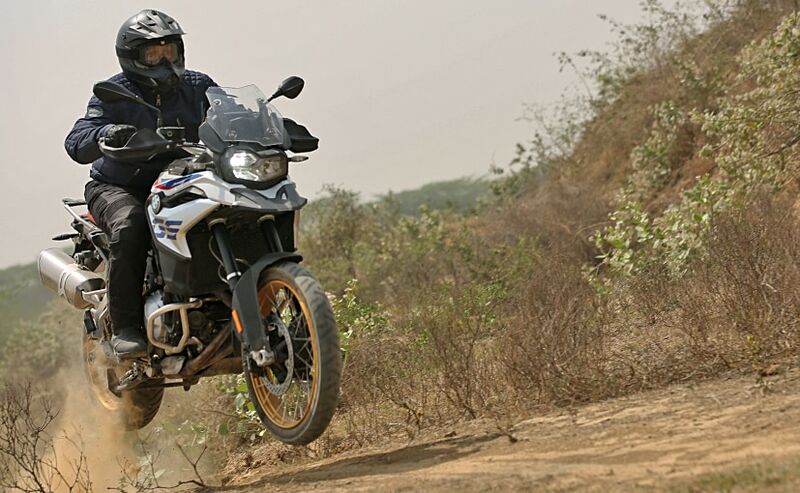 There are four riding modes to choose from, which are road, rain, dynamic and enduro pro (off-road). 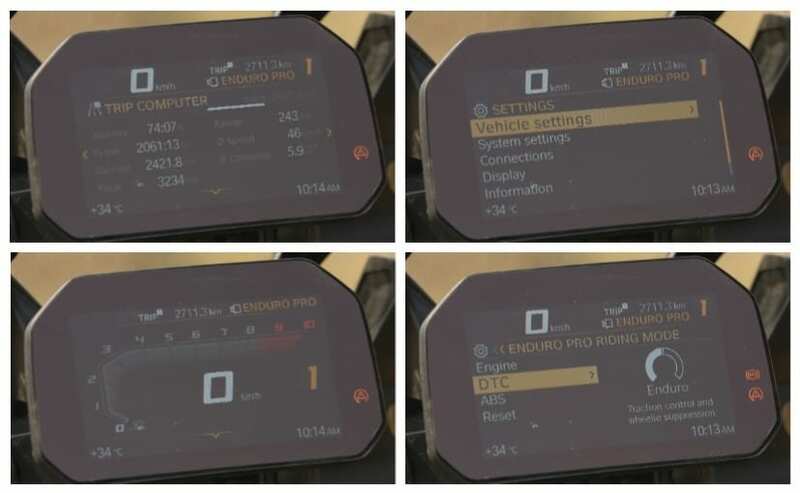 One can also choose the throttle map, ABS and traction control settings for the enduro pro mode. ABS and traction control can be switched off completely and there is provision for you to connect your smartphone to the motorcycle as well. There is a jog-dial on the left hand side switchgear which helps you to navigate through the settings and options but overall, the system is not quite intuitive and making changes on the fly will be a tough ask. Oh! And the seat is 860 mm off the ground but the motorcycle can be fitted with an optional lower seat as well. 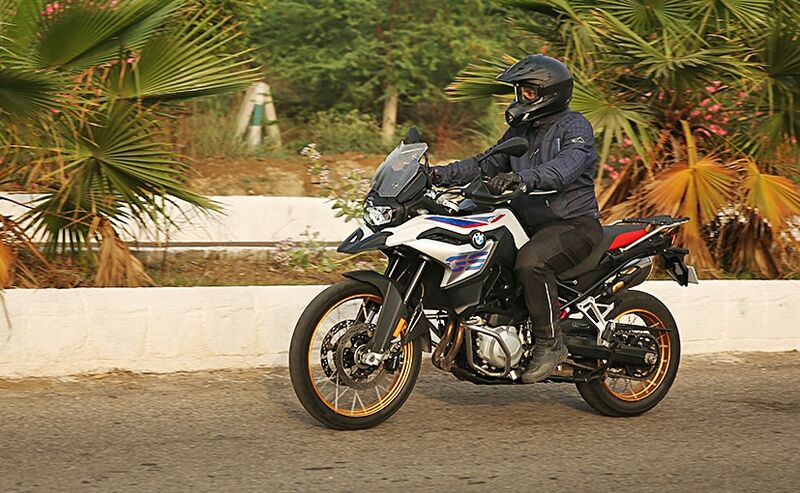 If you are paying upwards of ₹ 12 lakh for a motorcycle, you want to have a certain pose value and that is something that the BMW F 850 GS has in spades! The white and blue Rallye colours in particular looks really good along with the golden rims! 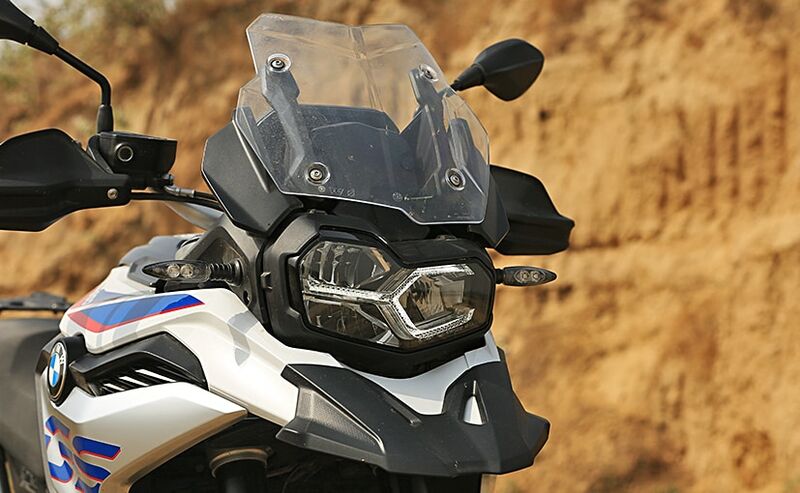 We have always been a big, big fan of asymmetrical headlamps on BMW motorcycle and we love this one as well. The overall look and design is refreshing and different from your usual fare of middleweight adventure bikes including its biggest rival, the Triumph Tiger 800! 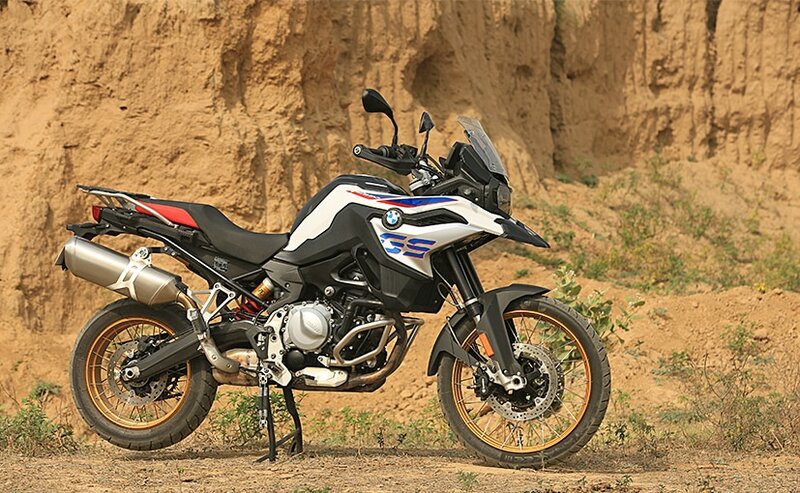 BMW has done well to offer a long list of features on the F 850 GS along with impeccable fit and finish and grin-inducing performance as well. It gets three variants which are the Standard, Pro Low Suspension and the Pro, which was the bike we tested. The prices start at ₹ 12.95 lakh for the base variant, which gets only the standard Road and Rain riding modes, and misses out on LED headlamps, TFT screen, and electronic suspension adjustment The Pro Low Suspension model is priced at ₹ 14.2 lakh while the top-spec Pro model is priced at ₹ 14.4 lakh. Our test bike, with the Rallye colour scheme and TFT screen, is priced at ₹ 15.3 lakh, which is significantly more expensive than some of its rivals. As an off-road and on-road machine, it certainly proved to be quite capable and definitely has the goods to take on its rivals such as the Honda Africa Twin and the Ducati Multistrada 950. But the pricing could play a spoilsport along with the fact that it is suited for experienced riders. But if you do buy one, every time you swing a leg over the BMW F 850 GS, you will end up having a huge grin all throughout the ride.